Kinetrol actuators provide years of reliable and dependable performance in the toughest environments and application. 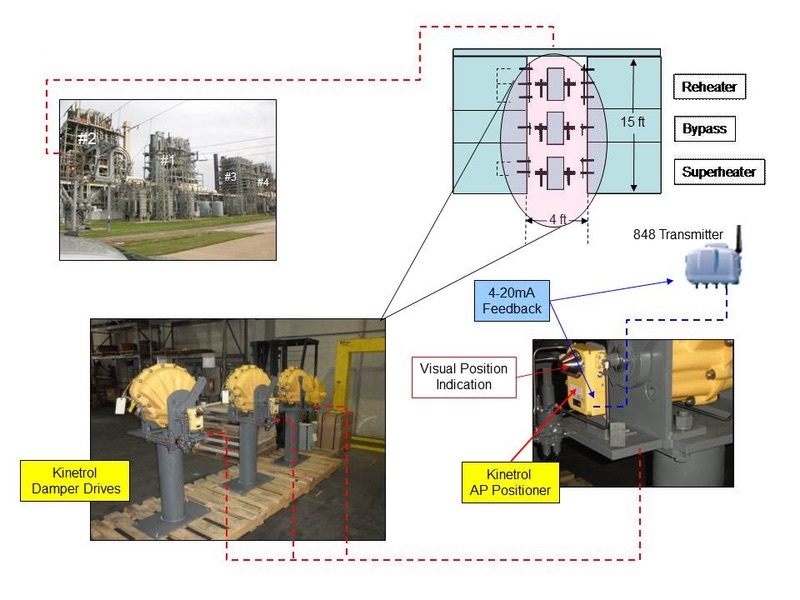 When you plan your next valve automation requirement, choose Kinetrol vane actuators. 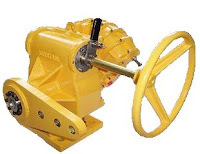 Rack and pinion and scotch yoke type pneumatic actuators depend on gears to transfer torque and movement, while integral vane-shaft actuators have no gears (or linkages). As a result, integral vane-shaft actuators are the hands-down choice for high cycle rate and modulating valve/damper actuation. Why? Because of the mechanical problems inherent to the use of gears. According to Wikipedia, "A gear or cogwheel is a rotating machine part having cut teeth, or cogs, which mesh with another toothed part to transmit torque." For pneumatic actuators with very low cycle rates, or ones that are not used for modulating service, internal gears may be acceptable. 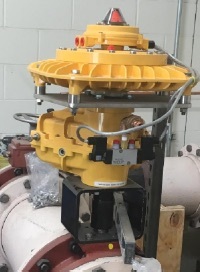 However, for applications where there are high cycle rates, or require accurate modulation, the use of a single machined vane actuator with integral shaft is preferred. The reason? No friction, wear, or backlash. 100 percent of the movement of the vane is transferred to the shaft without loss or hysteresis. 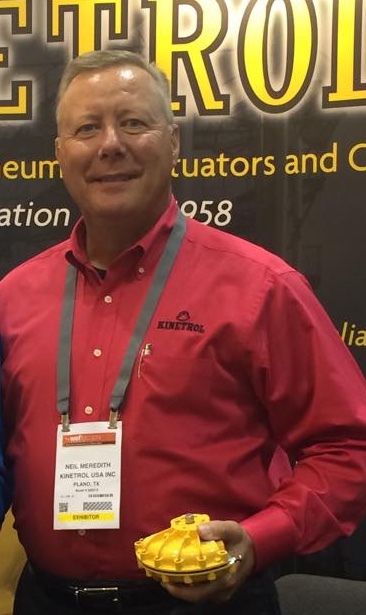 For any questions about applying the most appropriate type of actuator for any valve or damper application, call Kinetrol at 972-447-9443 or visit http://www.kinetrolusa.com. A short overview of the Kinetrol product line. Kinetrol's reputation for performing flawlessly in the harshest conditions is known around the world. The Kinetrol vane actuators' outstanding cycle life, smooth and precise movement, and environmentally rugged design makes it the best choice for all of your valve actuation and damper drive requirements. For more information visit http://www.kinetrolusa.com or call 972-447-9443.
travel stops, and the clam shell design. The vane actuator is a simple and elegant mechanism for quarter-turn valves, dampers, and other rotary motion applications. The vane actuator produces rotary motion through the application of air pressure to a "vane' attached directly to an output shaft. 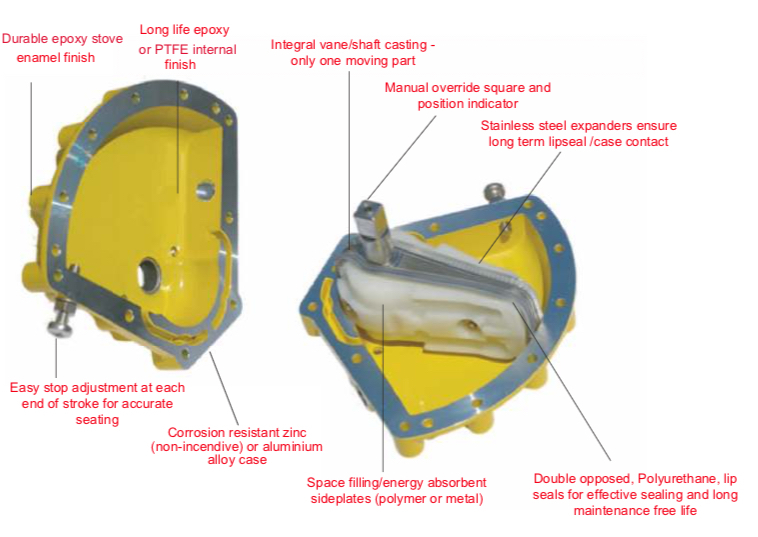 In higher quality vane actuators, the vane and shaft are machined from a single piece of steel. Because of this, any motion from the vane is transferred directly to the shaft, without backlash or lost motion. The vane includes “lip seals” that isolate the vane and shaft from the air supply. The lip seal design provides several advantages, namely eliminating the need for shaft seals and an inherent cleaning action internally. A split, or “clam-shell” housing is assembled around the vane, totally enclosing it. When supply air is applied to one side of the vane, torque is produced moving the vane in one direction. Accordingly, there is direct rotary motion transfer to the shaft, with 100% efficiency. Torque is controlled by surface area of the vane and the differential pressure on either side of the vane. Bi-directional over-travel is limited by the use of travel stops mounted in both sides of the housing. Single acting vane actuators use a spring to return the actuator to its resting position. 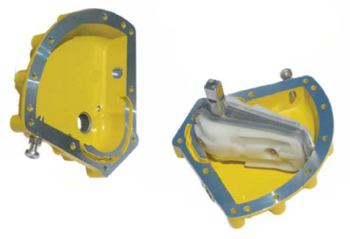 By adding a spring, vane actuators can fail-open or fail-closed in the event of power failure. Double acting actuators use supply air on either side of the actuator to dictate clockwise or counter-clockwise movement. Other types of pneumatic actuators generally require high quality air as their power source, but vane actuators can accept poorer quality supply air, as the vane design uses the vane’s “wiping action” to push dirt and grime out of the way. Vane actuators are generally more compact that other types of actuators and come in many sizes, producing a wide range of torques. 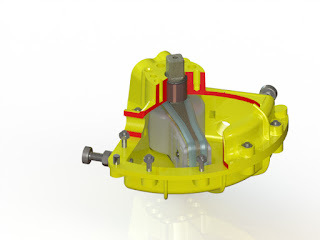 For more information about vane actuators visit http://www.kinetrolusa.com or call 972-447-9443. Due to the use of gears, slides, pins, and yokes, rack & pinion and scotch-yoke design actuators are less reliable than Kinetrol vane actuators. Kinetrol's design is based upon a single moving part, which eliminates additional parts required to convert linear motion to rotary motion. This simple and innovative design provides a highly accurate and extremely reliable actuator for operating valves, drives and dampers, and is perfectly suited for the most demanding process control control applications. Pneumatic rotary vane damper drive. In order to ensure efficient, reliable, and safe boiler operation, it is critical to accurately control the flow of the boiler's combustion air and flue gas. Poor control of airflow results in inefficient burning (wasting money), erratic cycling, flame-outs and even the possibility of toxic and hazardous emissions. 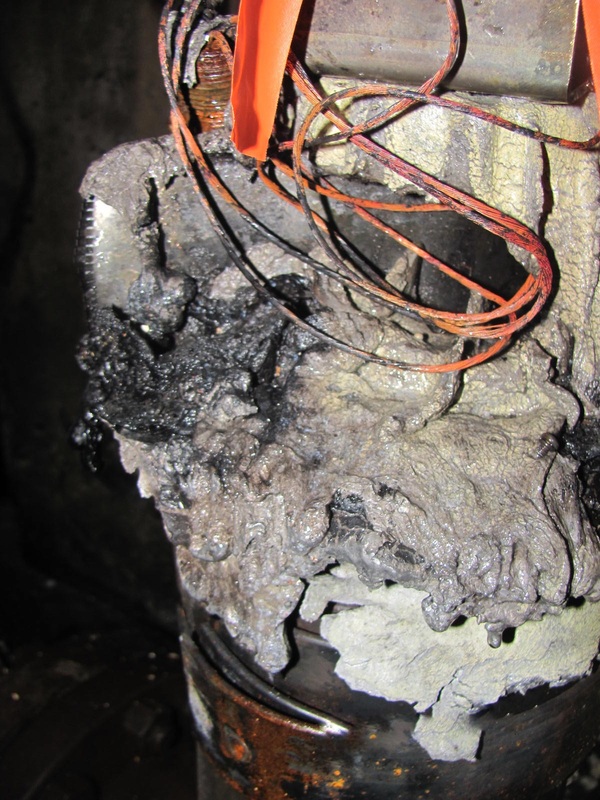 In order to reduce the likelihood of these situations, accurate airflow control is critical. 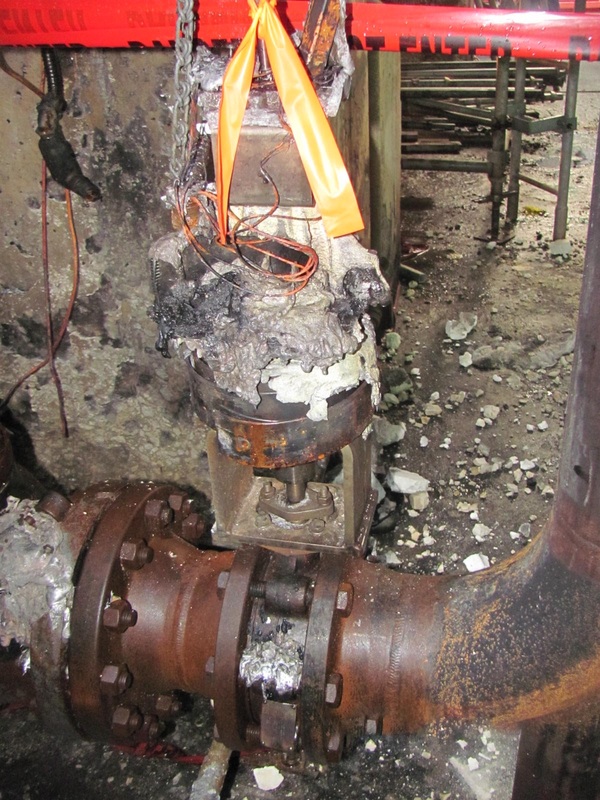 In the United States, the Environmental Protection Agency's introduction of the MACT (Boiler Maximum Achievable Control Technology) Rule requires operators to institute maintenance procedures annually or bi-annually in an effort to force plant operators toward compliance. 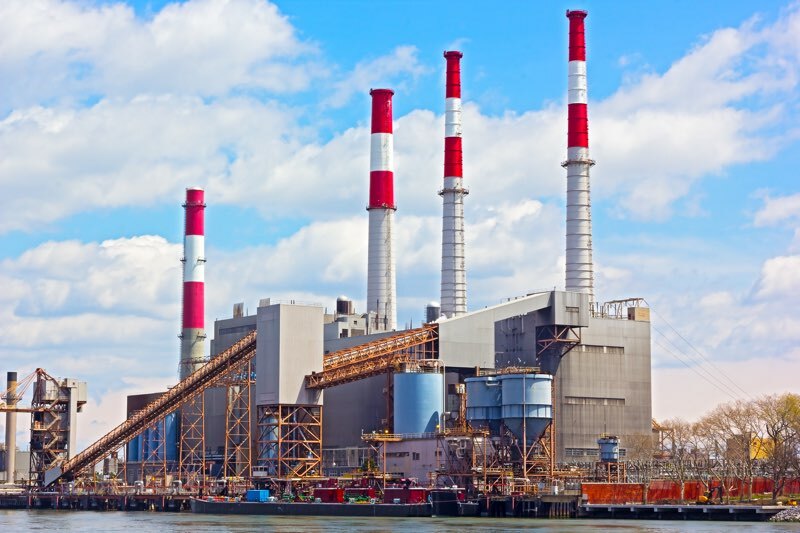 This strict new legislation has a large impact on how companies' control their emissions from industrial boilers, process heating systems and furnaces. Industrial boilers use dampers and louvers to control the quantity of air admitted to the furnace. Tighter boiler draft control significantly improves combustion. Any improvement in controlling the position of the dampers and increasing the positioning speed improves boiler efficiency. 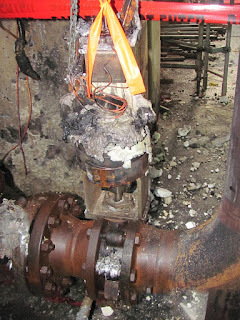 Damper operation needs to be precise and fast for the accurate control. There are an estimated 15,000 boilers, furnaces, and process heaters running in the USA, and many are using an outdated primary component to control their lovers and dampers - the electric damper drive. Electric damper drives utilize motors and gear-boxes to move and position flue gas and combustion gas dampers. However, because of the inherent movement (sometimes referred to as hysteresis) between gears, linkages and other assorted mechanisms, these drives may not provide the accuracy, power, or signal response time required for optimum control. 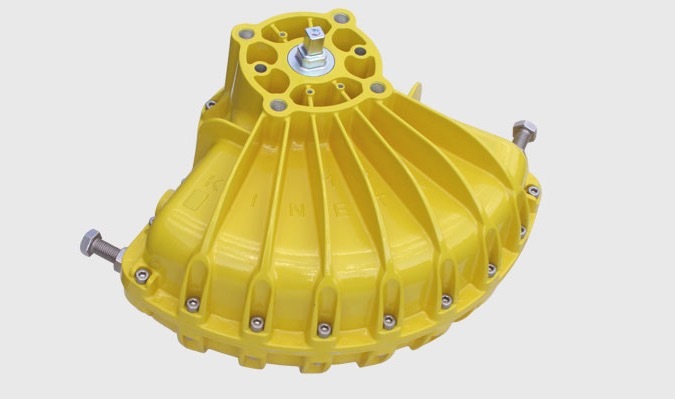 Enter the pneumatic vane actuator damper drive. Pneumatic vane actuator drives are a newer, but still proven, method to provide high speed, accurate, and continuous modulation of air dampers for precise control. 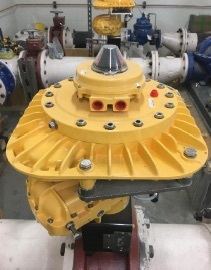 Replacing outdated electric damper drives with fast acting, pneumatic rotary vane damper drives offers measurable improvement to burner efficiency and cleaner emissions. Switching out electric drives with their better performing pneumatic cousins is fairly simple. Downtime is not an issue. The old drive footprint, lever positions, connecting rods, and operational envelop are considered with every design. Any existing mechanical or electrical connection placements are matched. 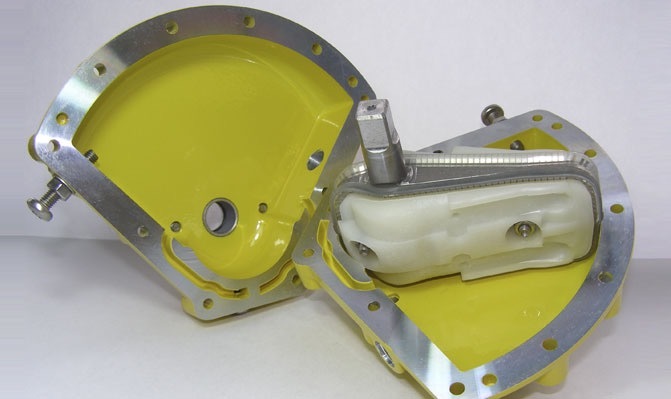 Since the new drive mates to all existing mounting and connections, and the envelope size is typically smaller, installing the pneumatic drive is usually a matter of pulling the old one out, and dropping the new one in. At the heart of the pneumatic damper drive is the stalwart pneumatic rotary vane actuator. 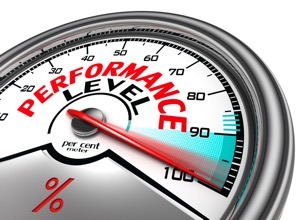 With hundreds of thousands of these devices operating in the toughest process applications around the world, their reputation is well earned. These actuators are known for their incredibly long life, ability to withstand very high cycle rates, and smooth “bump-less” control. They are also designed to handle high ambient temperatures, high vibration, and very dusty environments, typical of where boiler dampers are located. 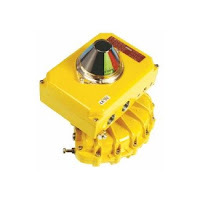 Additionally, rotary vane actuators are available with direct mount pneumatic and electro-pneumatic positioners, manual overrides, network communication modules, limit switches, and spring modules. The direct mount design eliminates external brackets and coupling, and keeps the overall package size small. Pneumatic vane actuator damper drives are a significant improvement over traditional electric damper drives. They provide fast response to input signal changes, very accurate positioning, a reduction in plant air consumption, and they lower fuel consumption. 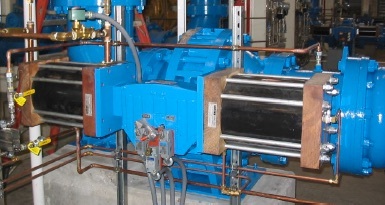 Engineers tasked with increasingly rigorous boiler emissions requirements must consider pneumatic vane style drives as a compelling alternative to the electric drive. They truly are an example of better form, fit, and function.